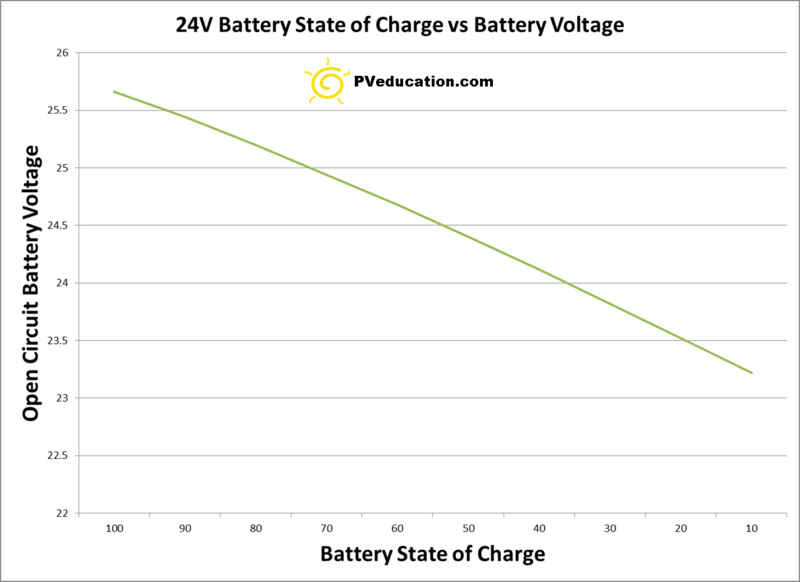 A common question I receive refers to determining the battery state of charge based on battery voltage. 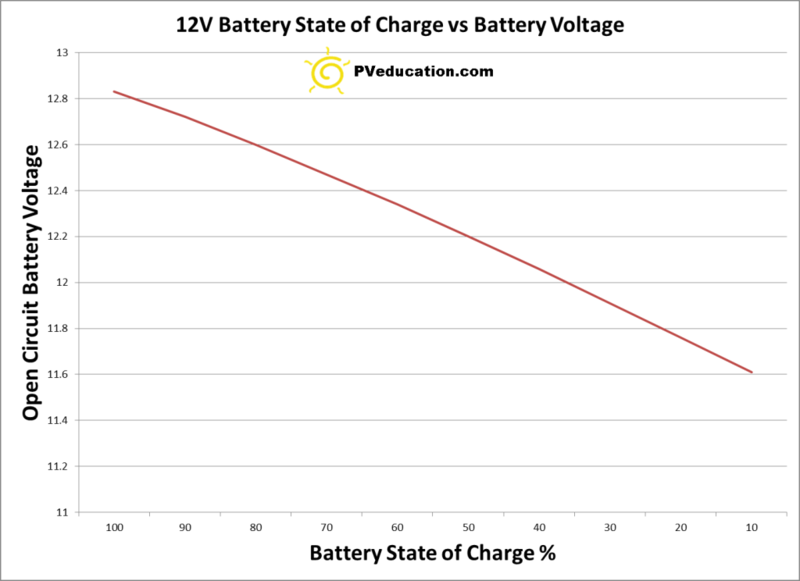 If you have a load running, the battery voltage will drop and if there is a charging source the voltage will increase. To eliminate these external factors, turn off all loads and disconnect the solar array to allow the battery voltage to stabilize. 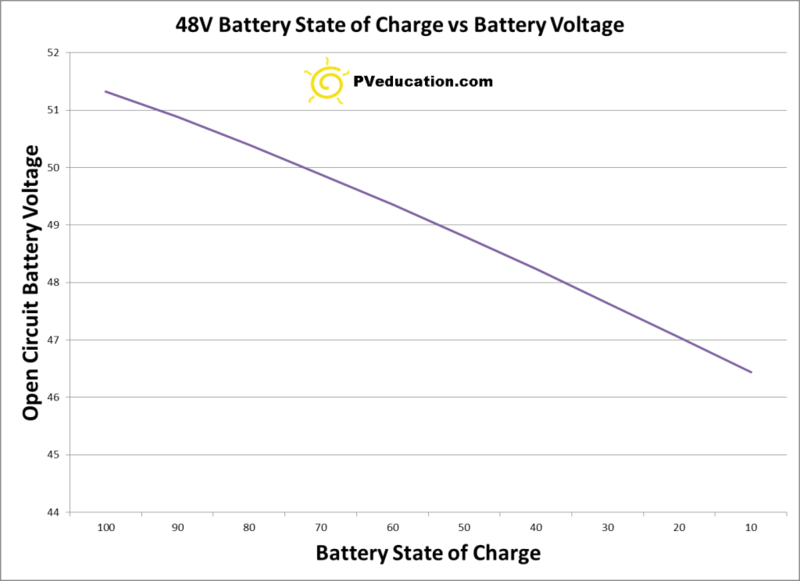 This is referred to as the battery open circuit voltage. Once stable the following will provide a good reference for the battery state of charge.